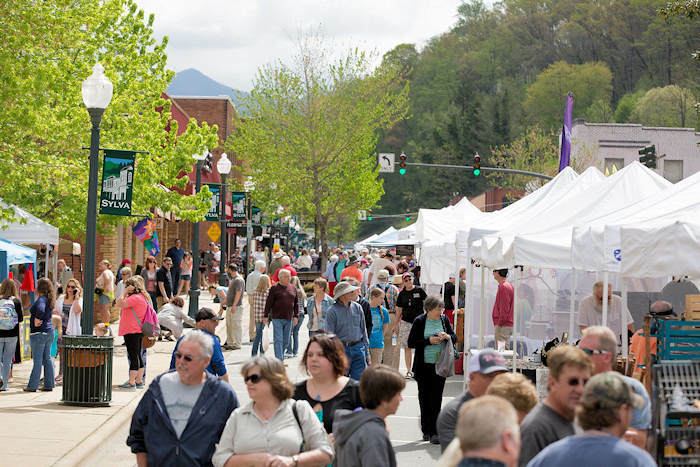 Celebrate the arrival of spring with the Greening Up the Mountains street festival in downtown Sylva, about an hour's drive west of Asheville. 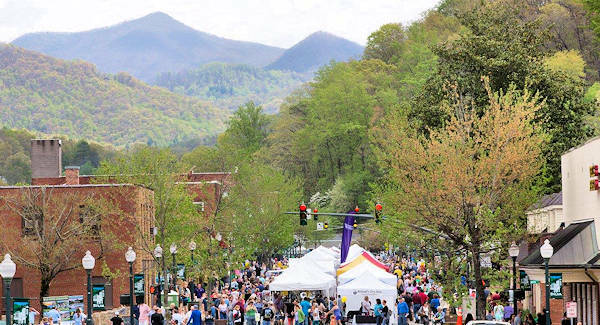 This free festival celebrates the greening leaves as they work their way up the mountainsides in the Great Smoky Mountains. It is held 10 AM to 4 PM and draws 10,000+ visitors each year. 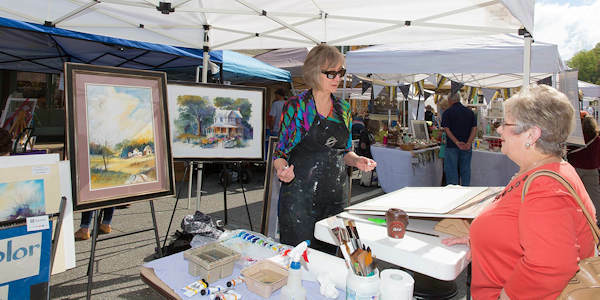 Traditional heritage crafts will line Main Street and Railroad Avenue, while three music stages feature local bands, children's performances, dancers, and a talent show. Children's activities include storytelling, face painting, an inflatable slide and more. The annual Greening Up the Mountains 5K Run takes place at 9 AM. Featured craft demonstrators will include wood carvers, cane chair makers, corn shuck doll crafters, basket makers, crochet artists, knitters, and more. There will be plenty of food options, including traditionally-made mixed pickles and old fashioned ice cream. Greening up the Mountains began as an Earth Day celebration, and it continues to focus on sustainability and promotion of local businesses and civic groups. 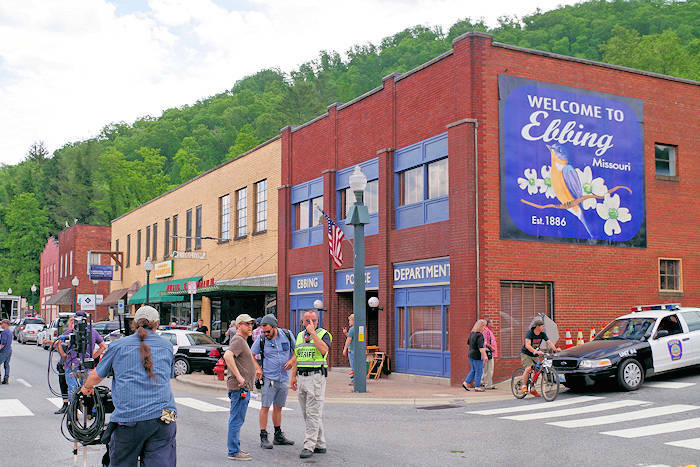 While you are in downtown Sylva, explore the nice selection of shops, sample local beers at three breweries and walk the stairs to the most photographed courthouse in the state! 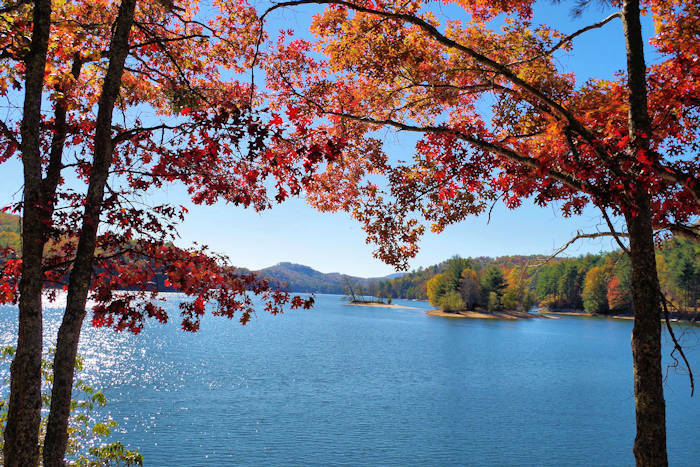 Nearby are the towns of Dillsboro and Cashiers. 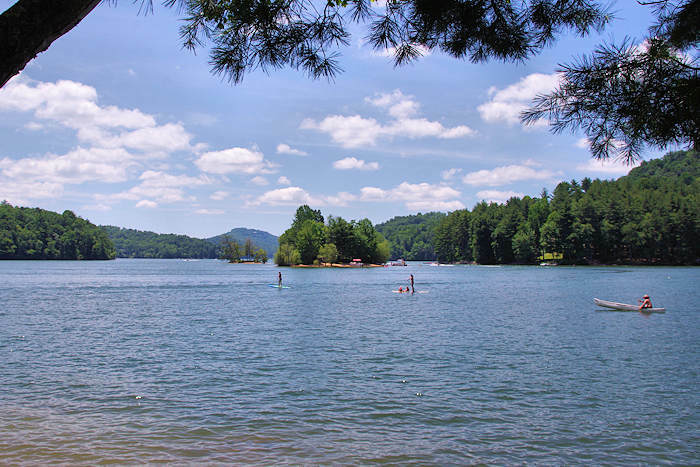 Check out the nearby Jackson County things to do. Also, Western Carolina University is seven miles down the road in Cullowhee. Sylva Directions from Asheville: Take I-40 West to route 23/74 W towards Waynesville. Take 23/74W to 23/441 towards Dillsboro, Sylva and Franklin. 50 miles, 1 hour drive. Always fun to watch the green colors climb the ridges each spring. Thanks to Nick Breedlove for photos!